No other fabric is more closely associated with Christmas than red velvet, right down to Santa’s famous suit. Now you can add this classic holiday look to your own home with this luxurious red velvet pillow. The throw pillow’s elegant, minimalist design makes it ideal for yuletide decorating. 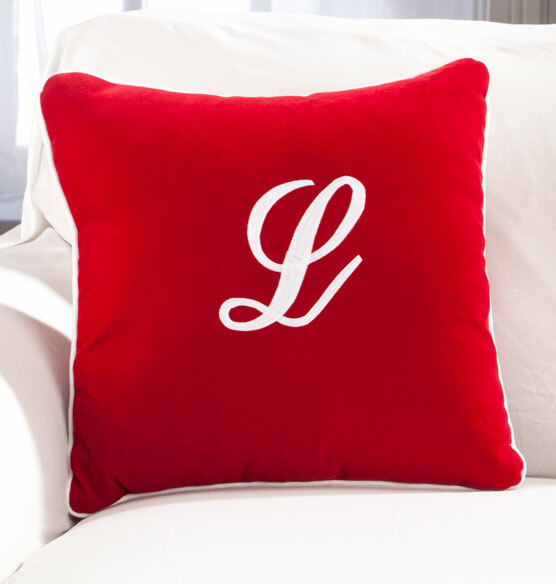 Personalize it with a monogram to create a one-of-a-kind holiday accent for your home.